When the issue did not subside with the regular treatments offered from Alli’s local pediatrician and a pelvic floor therapist, she was referred to Riley Children’s Services at Deaconess Gateway Hospital in Evansville. 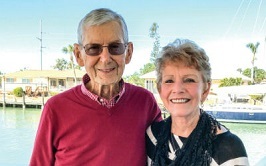 The Wilsbachers credit Riley Pediatric Urologist Richard C. Rink and urology nurse practitioner Shelly King with changing their daughter’s life. They quickly diagnosed Alli with dysfunctional voiding—a condition where the urethra functions improperly and muscles in the bladder and pelvic floor don’t work well together. Alli felt overcome with relief that someone was able to name what was wrong. 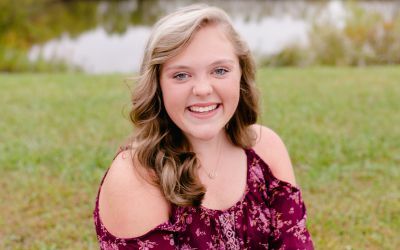 Her parents, Amy and Troy, knew their daughter was in good hands: Riley’s urology program consistently ranks within the top five in the country. The Wilsbacher family will be forever grateful for the support Alli received in navigating such a sensitive issue. Once shy and uncomfortable talking about her condition, Alli now laughs about it with frankness and poise beyond her 16 years. “Now I know how to live with it,” she says. "All of Us Can Do Something to Help." "Every Gift You Make to our Research Makes a Difference." "He is and always will be my hero." "I always knew I wanted to cure cancer." "I am the Riley wagon"
"I believe in and support what we do." "I just felt the courage that I could do it"
"I Knew My Babies Were in the Right Place."